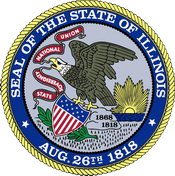 The bill to partially repeal Illinois’ switchblade ban, SB 607, has passed the Senate by a unanimous vote. This bill allows possession of automatic knives by those who have a Firearm Owner’s Identification (FOID) Card, which allows the individual to purchase firearms and ammunition. This is not a possession with CCW bill, as some have suggested. The bill also allows for manufacture and sale of automatic knives by those not holding a FOID card. This same bill, as SB 2294, last year barely missed being passed, lacking only a floor vote in the House before time ran out before the vote could be held. We are hopeful that this year we’ll be able to get it done.